This page is an attempt to give you an overview of the various Kirtan singers (Kirtaniyas) you can listen to on 24 Hour Kirtan Radio. Please bear in mind that this is work in progress. We’re always adding new Kirtaniyas, so please leave your comment below or send us an email if we forgot anyone. In 1966, Srila Prabhupada began chanting the Hare Krsna mahamantra under a tree in New York’s Tompkins Square Park, thereby inaugurating the western advance of Lord Caitanya Mahaprabhu’s Sankirtan movement. He was a Gaudiya Vaishnava spiritual teacher and the Founder Acharya of the International Society for Krishna Consciousness commonly known as the “Hare Krishna Movement”. His most significant contribution are his books. Within the final twenty years of his life Srila Prabhupada translated over sixty volumes of classic Vedic scriptures (such as the Bhagavad Gita and the Srimad Bhagavatam) into the English language. For their authority, depth, and clarity, his books have won praise from professors at colleges and universities like Harvard, Oxford, Cornell, Columbia, Syracuse, Oberlin, and Edinburgh. In February 2014, ISKCON’s news agency reported to have reached a milestone of distributing over half a billion books authored by Srila Prabhupada, since 1965. He left this world on November 14, 1977 in Sri Vrindavan Dhama. 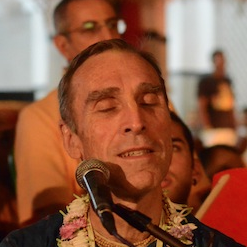 Aindra Prabhu began leading Kirtans in the Washington D. C. temple, but after moving to New York City in 1981, he took the Kirtan into the street. 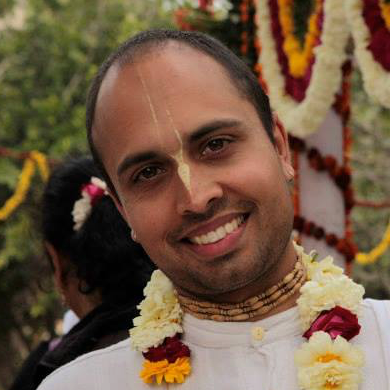 Aindra Prabhu was the epitome of a sadhaka, always endeavoring to go the extra mile. For years he chanted one hundred thousand names of God every day, and he gradually increased. 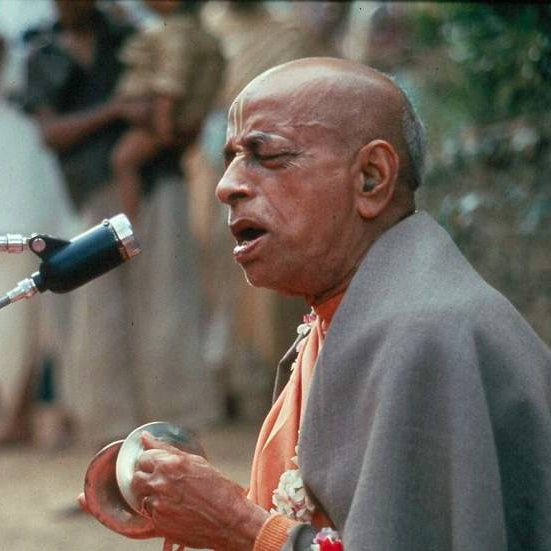 He also counseled devotees, studied the books of Srila Prabhupada and the previous acaryas, worshiped Radhe-Shyam in the temple and his personal Deities in his room, transformed the brahmacari quarters into a transcendental art gallery, scrubbed the toilets — and led the electrifying Kirtans that won him a place in devotees’ hearts the world over. After the inception of 24 Hour Kirtan in 1975, the Kirtan Yajna continued in a somewhat disorganized way for some time. In 1978, however, less than a year after the disappearance of Srila Prabhupada, 24 Hour Kirtana at Krsna-Balaram Mandir unfortunately ground to a halt. Reinauguration commenced eight years later, in 1986, by the determined efforts of Sripad Aindra prabhu, a disciple of Srila Prabhupada, with the assistance and support of a few other devotees. He left this world on July 17, 2010 in Sri Vrindavan Dhama after more than 20 years of Kirtan sadhana. 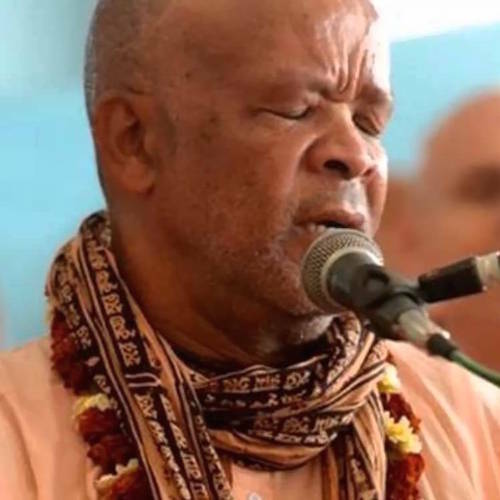 As a disciple of Srila Prabhupada, his study of Vedic philosophy led to the discovery of Bengali devotional music and, in 1972, he began performing Kirtan on New York City streets. He later toured with the South Asian Cultural Exhibition, displaying the art of Kirtan at university campuses across the United States. He continues to do Kirtan at various venues today (Source: The Yoga of Kirtan). Born in the US, but came to Vrindavan at a young age and was one of Aindra prabhu’s main mridanga players for many years. 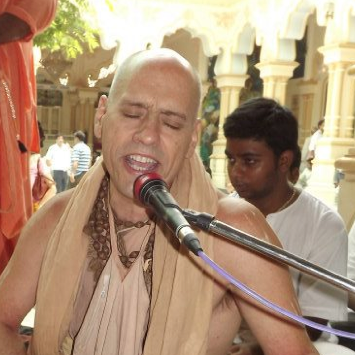 He lives in Vrindavan with his wife and daughter teaching mridanga at Krishna Balaram mandir, leading Kirtan and playing mridanga on a daily basis. When the need arises he also helps out in the deity department, serving Sri Sri Radha Syamasundar. 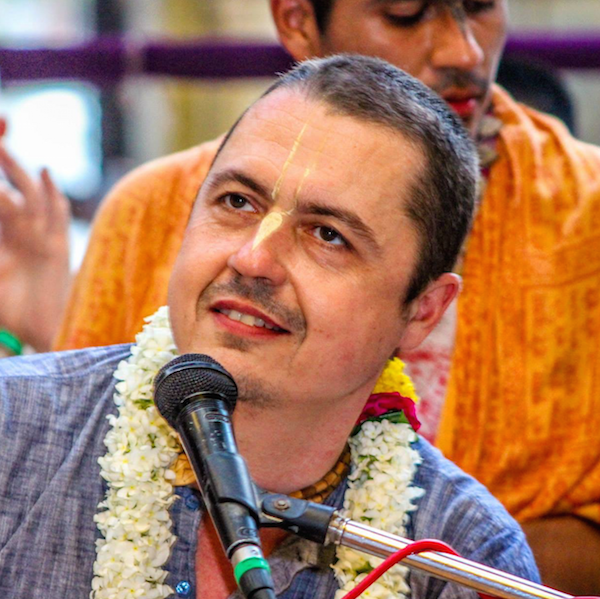 Born in Budapest/Hungary, he joined the devotees in New York and later moved to Vrindavan to also be one of Aindra prabhu’s main mridanga players for many years. 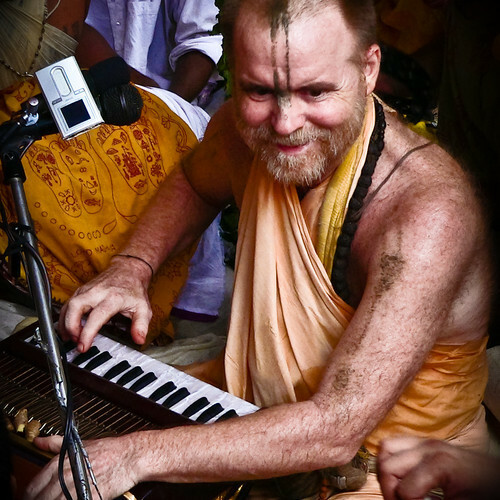 He lives in Vrindavan with his wife where he leads Kirtan and plays mridanga every day. 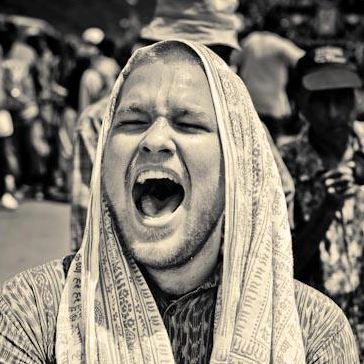 During the summer months May and June he travels to Europe and the US to bring Vrindavan style Kirtan to the west. Known for his inspiring and soulful chants, Bada Haridas has studied and performed Indian devotional music, including Indian classical music and raga since 1975. 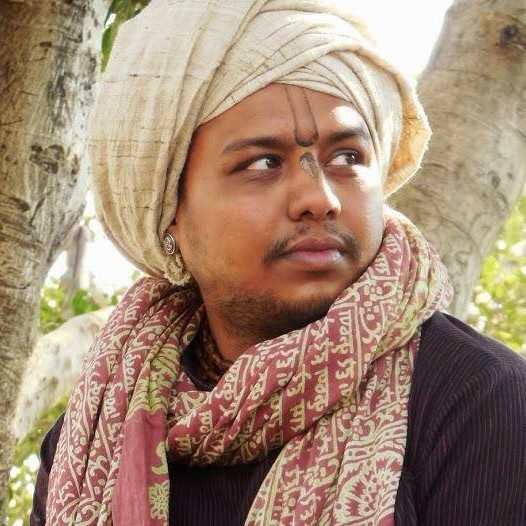 Bada Haridas, his wife and two children currently live in Gainesville, Florida, where he teaches mridanga, harmonium, voice, and music theory and composition (more about him). Team member description coming soon. 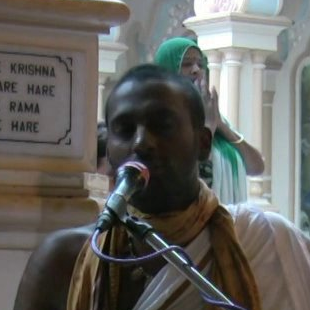 Originally from Mauritius, started playing mridanga as a boy and came to Vrindavan when he was 19 years old in order to join Sripad Aindra Prabhu’s 24 Hour Kirtan Mandali at Krishna Balaram Mandir in Vrindavan. 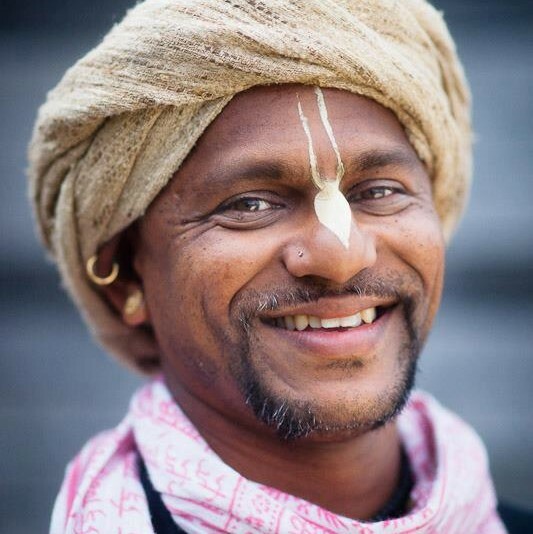 After many years of daily Kirtan sadhana in the holy dhama he moved to Switzerland where he still resides when not travelling the world for various Kirtan festivals. During Kartika you usually can still meet him in Vrindavan. He was head of department at 24 Hour Kirtan Mandali after Aindra prabhu left the planet in 2010 until the beginning of 2015. He now lives in Sridham Mayapur together with his wife and daughter and still helps as senior advisor to the Kirtan department in Sri Vrindavan Dham.